Our 2 favorite & FREE budgeting tools for managing finances! Jon and I are big fans of Dave Ramsey. His methods totally make sense to us, and we want to “live like no one else!” Later. It’s just that we also like Chipotle. And Amazon. And neither one of us have ever been very good with keeping our spending in check. We’re not extravagant, by any means, but Jon likes his Starbucks, and I have a hard time saying no to buying books. ALL THE BOOKS. This year, though, we’ve really had to crack down and make the budget work for us. We’ve got big bills to take care of, and despite the occasional coffee treat, we really are working hard to finish paying off those student loans. But what we’d been doing for the last couple of years just wasn’t working. We followed Dave Ramsey’s ideology, but putting it into practice was another story. We tried the cash envelope system, but I’m just not so good with numbers, and making a set amount of money stretch over an entire month was hard for me to visualize. I’d spend too much too early on, and we’d be stuck with nothing left at the end of the month. No good. We also tried just using our debit card, and tracking all the purchases, but we always ended up spending more money using the card. No good either. So, we had to think outside of the box a little bit, and piece together some ideas. Sometimes, what works for the rest of the world just might not work for you. And that’s okay. You’ve just gotta find another way! I’m so excited to share with you what has finally been working for us. It’s so simple, I cannot believe I didn’t think of it sooner. But we’re finally staying within (even UNDER!) our budget each month, and we know exactly where our money is going. We started using the Every Dollar app to track our debit purchases. (We don’t use any credit cards at all.) It’s free, and it’s AMAZING. Seriously the best budgeting app I’ve ever used, and I’ve used a lot. You can use Every Dollar both on the computer and on your phone. And it’s FREE! Every month, we sit down and create a budget for the month. Then, as the month goes on, we can track our purchases according to category. It’s simple, straightforward, and really manageable. Plus, since it’s a Dave Ramsey product, it also allows you to track your progress on the Baby Steps! Super fun. The key here, for us, is tracking everything electronically. This goes for all bills, all subscriptions, every fee that comes out of our bank account through our debit card. If there’s an electronic trail, we track it. Period. You guys. These have changed my life, and I’m not even exaggerating. Now, you might have seen wallet dividers before – cute little dividers you slide into your wallet to break cash up into categories. I’ve used category dividers before, but I always had the problem of breaking down how much I actually had to spend at that trip to Target. Plus? At Target I’m spending grocery, home, and fun money, and everything goes on one receipt. I’m not number-illiterate, but let’s just say that was too much math for me. I never tracked it, and I always ended up short at the end of the month. So this time around, I tried out something new. I “officially” kept the categories on the budget, but I scrapped the idea of categories in my wallet. Instead, I now break my cash into WEEKS. It’s revolutionary, I know! Here’s how it works for me: I take the budgeted money that I know I’m going to spend when I’m out & about (or just not online or through a card) – groceries, eating out, home supplies, clothing, etc. – and pull it out of the ATM at the beginning of the month. I lump ALL of that together, and break it into 4 dividers, equally. So if I’ve got $400 for groceries, $200 for eating out, $100 for home supplies, & $100 for clothing, I take a total of $800 out of the ATM at the beginning of the month. Then, I split it into my weekly wallet dividers – $200 for each week. This is SO MUCH BETTER for me! I can see exactly how much money I have until Saturday night, and it’s much easier for me to stay within budget when I only see $50 left for the week instead of $650 left for the month. And call us crazy, but we don’t track this cash by purchase. All I do is track (in the app) that I spent $100 this week on groceries and $100 on clothes, and call it good. It’s more manageable for me, meaning I’m now able to both stay within the budget AND very generally track our cash purchases. Everything still goes into the Every Dollar App, but now we’re able to manage it all MUCH more effectively. So there you have it! 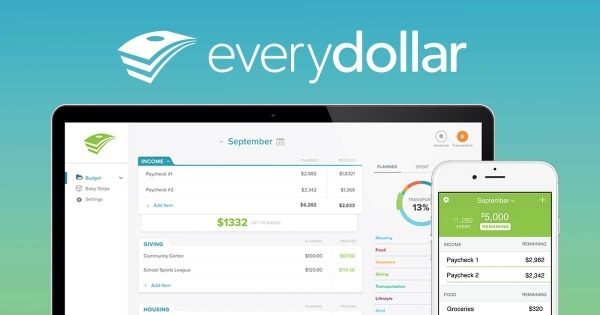 If you’re not-so-good with numbers either, I’d highly encourage you to try using this combo – the Every Dollar App & weekly wallet dividers. 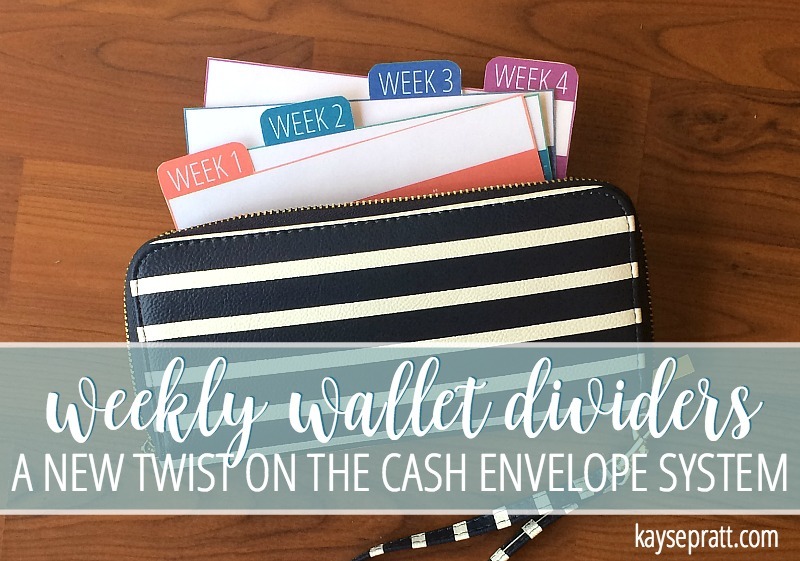 In fact, I’m so thrilled with how this system has been working for us, I’d love to give you the weekly wallet dividers as a gift!! Simply enter your email in the form below, and I’ll send you the weekly dividers I created. It will take you 10 minutes to print them off, laminate them, and cut them out, and you’ll have a set of your own! Stay on budget with these FREE Weekly Wallet Dividers! A new twist on the cash envelope system. Just enter your info, and these will be sent right to your inbox! Hooray!! You’re in!! Now check your email to confirm your subscription & get all your dividers!. 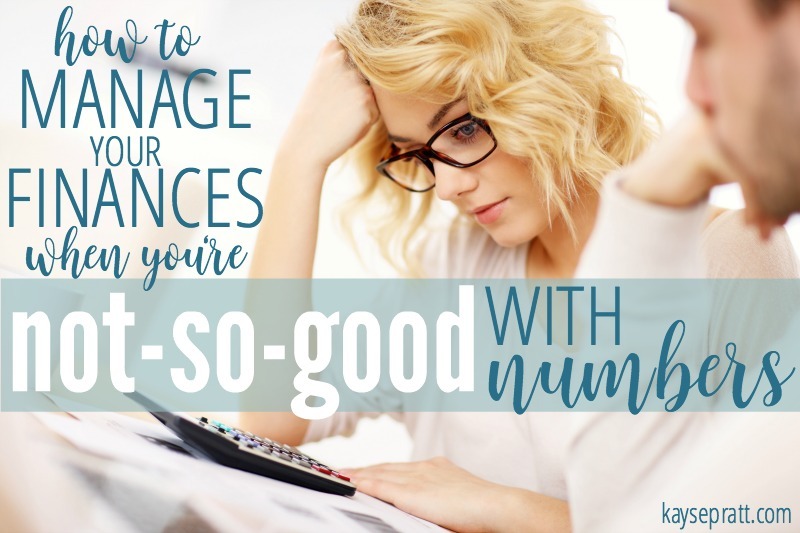 Finances are so important to understand and manage well. We’re not experts, by any means, but we’re doing so much better now than we were when we got married! And we’re passionate about making sure our kids understand how to manage money well, too. I’m guessing you might be in the same boat. Need a little help getting your finances on track? I’ve got just the thing for you! 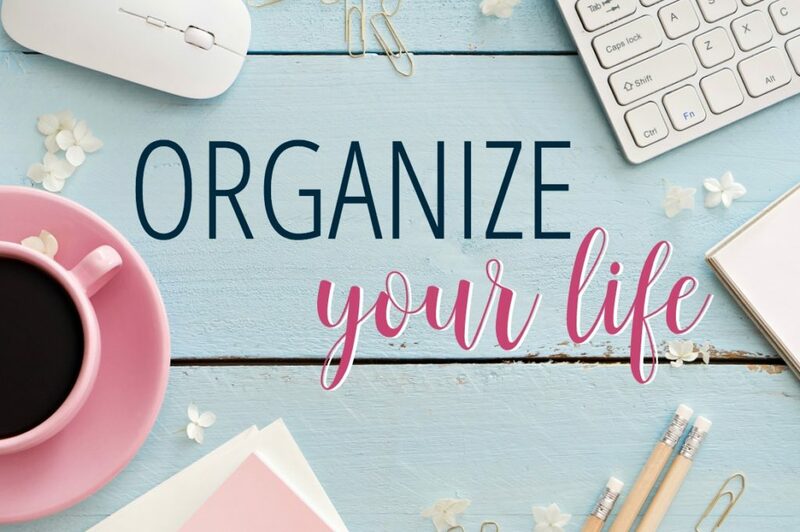 Join us for a FREE mini-course that helps you Organize Your Life! 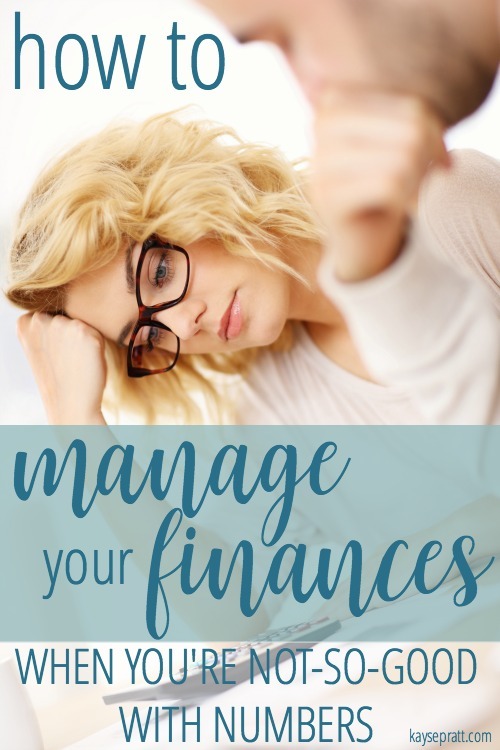 You’ll walk through 4 main areas – INCLUDING getting your finances organized. Sign up HERE! What’s your favorite budgeting tool? « Don’t tell anyone, but I’m just not a baby person. This is an awesome idea! I have a hard time making money stretch over the month too, and getting paid twice a month makes it tricky to budget for the whole 4-5 weeks. I’m going to try this in June and hopefully it’ll help! I’m afraid I’d spend all for weeks during the first week! I’m happy that you’ve found a system that works for you; that’s what’s most important.